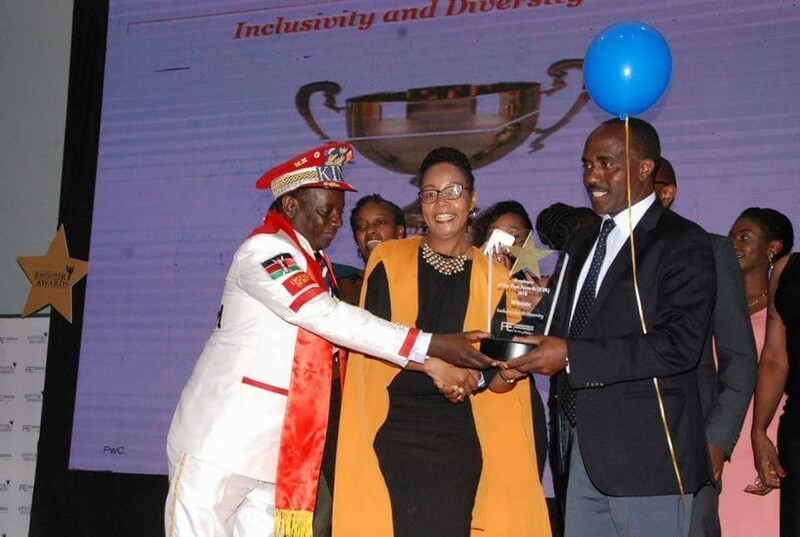 In 2018, LVCT Health was honoured at the annual Employer of the Year Awards (EYA) in Nairobi, in the category of; Inclusiveness and Diversity. The Employer of the Year Awards (EYA) – http://eya-kenya.org/ is an initiative by the Federation of Kenya Employers (FKE) that provides a platform for identifying, ranking and recognizing excellence in Corporate Performance, People Management and Industrial Relations amongst employers in Kenya. LVCT Health is an equal opportunity employer with employees from various backgrounds; age, race, ethnicity, religion, gender and or disabilities. Through our programmes we serve diverse populations; https://lvcthealth.org/what-we-do/populations-we-serve/. We have in place adequate policies that ensure that all our actions are non-discriminatory. We also encourage participation of persons of all backgrounds in all the decision making functions.